Some homeschool days seem too long…like they will just never end. Somewhere along the way our homeschool days took a downhill turn and we can’t even pinpoint it’s beginning. 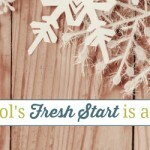 We momentarily consider throwing in the towel for the day and starting fresh tomorrow, but then we worry about staying on track and not meeting the legal quantity of homeschool days this year if we take a break. Often instead of taking time to discover the issue at hand or take the break both we and our children need, we push through and just get the schoolwork done. Yet, what are we giving up to merely complete a day of schoolwork? Before we sat our child down again and handed them another page of math problems to complete, did we consider the harshness of our tone? When our child asks for help for the tenth time, did we think about how our groan is affecting their self esteem? Have we thought about what our child thinks when they see us roll our eyes when they say they just don’t understand? 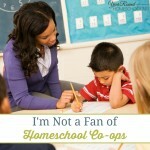 When homeschool days seem too long, they probably are. And if they seem too long to us, what do you think they feel like to our children? All too often we get caught up in our homeschool plans and we focus on what we “have” to get done today instead of enjoying the opportunities we have when teaching our children. We forget that learning is a journey and that it’s a journey which needs to be enjoyed! If our homeschool days are too long, we rob our children of the joy found throughout their homeschool journey and they’ll grow to hate learning. We must be diligent to protect our children’s love for learning and the joy it brings to their lives! As homeschool moms we need to ensure that we not over plan our homeschool days, but we also must learn to recognize the times when either we or our children are showing signs of needing an unplanned day off. If we could learn to let go of our schedules and plans we would be pleased to see how much smoother our subsequent homeschool days will be. Sometimes all our homeschool needs is a break from the mundane, a change of pace to allow us and our children to time to breathe. Afterwards we’ll be able to return refreshed and ready to refocus on homeschooling once again! So, the next time you find yourself dreading the rest of the schoolwork on your planning pages or hear your children growing restless in the midst of their lessons, put the books away for the day. Don’t worry about playing catch up or being behind, spend time with your kids. Enjoy living and learning outside of the schoolbooks and plans, take your homeschool journey away from them and see where you end up! If you find that your homeschool days seem too long frequently, it might be time to take another look at your homeschool schedule. Take time to reevaluate the subjects/topics that you’re covering every day, the quantity of hours you’re homeschooling each day and find ways to shorten your days. As year round homeschoolers, we don’t have to worry about packing 175 days +/- into 9 months, we can use all 12 months of the year to our advantage! 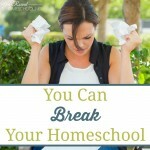 Don’t be afraid to rearrange your homeschool schedule/plans so that you and your children are able to live and enjoy life, from homeschooling to anything and everything else in between! What do you do when your homeschool days seem too long? There’s nothing more to say except “Thank you Father for loving us so much!” and ask for our eyes to be adjusted to His vision. 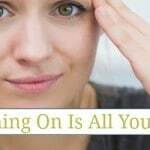 Thanks for this article of understanding and encouragement!